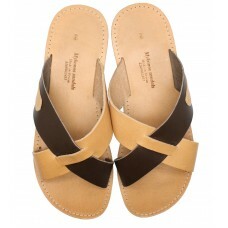 Our two tone cross slide sandal is another perfect pool or beach sandal. 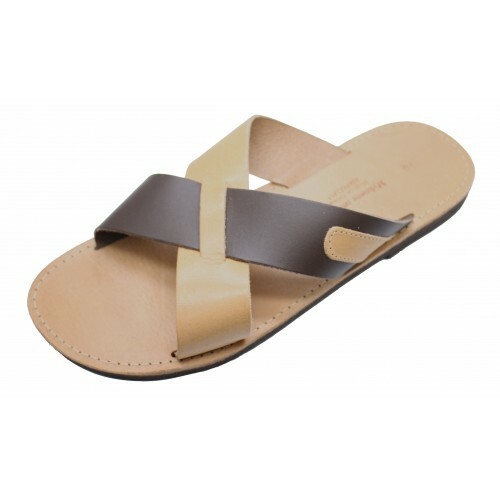 They are handmade, very strong and durable and is also extremely stylish, for looking good at the beach club. With the natural vachetta breathable liner your foot remains fresh all day, and as the vachetta tans your sandals just keep looking better and better as they age.